Dr. Heastie’s desire to improve his own skills motivated him to return to school in the United States in 1989. In the spring of 1993 he graduated from LaSalle University in Philadelphia Pennsylvania with a master’s degree in Psychology. After receiving the master’s degree, he worked as a Behavior Specialist with at-risk students in the Philadelphia School District. His innovative work of modifying students’ behavior by showing them how to improve academic achievement was the genesis of “Successful Start, Successful Finish” – a 1-day workshop that show students how to master their memory, their study skills, and the test-taking skills. Following the completion of his doctorate degree in 2001, Dr. Heastie worked as Special Assistant to the President, for Diversity, at Grove City College in Grove City Pennsylvania and later took a teaching position in the School of Education at Fayetteville State University, in Fayetteville North Carolina. Today, Dr. Heastie is Professor of Psychology at Miami-Dade College in Miami, Florida. Concurrently, he serves as President and CEO of Heastie Consulting International. The company’s primary focus is training. 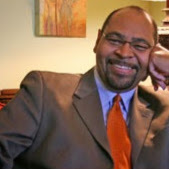 Dr. Heastie draws on his academic training and his experiences to design, develop, and conduct training programs in customer service, management, and education for businesses, schools, community organizations, and churches. Because of his ability to speak to numerous issues and to motivate people, he is often invited by companies and organizations to give keynote and motivational speeches on a wide variety of topics. Dr. Heastie is the former creator, producer, and host of The Family Enrichment Hour, a weekly television program that endeavored to add value to family life. He is also the former creator, producer, and host of The Family Enrichment Minute – a daily radio broadcast that was an off shoot of his television program. In 2012 Dr. Heastie published, Peanut Butter, Jelly, and Us: Practical Faith-based Principles for Strengthening Families. He is currently working on his second book, Four Dimensional Love, which focuses on creating and nurturing health marriages. Dr. Heastie is married to his wife of thirty years (formerly Gaynell Murray), and is the proud father of two young adult daughters – Samantha and Ashley.